When someone mentions BMW, the first thing that comes to mind are the luxury cars and premium motorcycles with German engineering and heritage. Back in the year when we Indians came to know about the BMW-TVS partnership, several petrol heads and auto enthusiasts around the world were curious to know about the benefits that the potential customers would receive. The goal was to deliver a typical BMW product to the potential customers at much lower cost. To achieve this goal, the two-wheeler arm of the German manufacturer got TVS Motors onboard. When compared to the Bajaj-KTM venture, the BMW-TVS model is slightly different where, in the former case, Bajaj is a stake holder in KTM and hence they have a key role to play in decision making about the product range and strategies. Meanwhile, in BMW-TVS partnership, TVS Motors is more of a service provider in extending its manufacturing facility to churn out a BMW products according to the latter’s design and specification requirement. 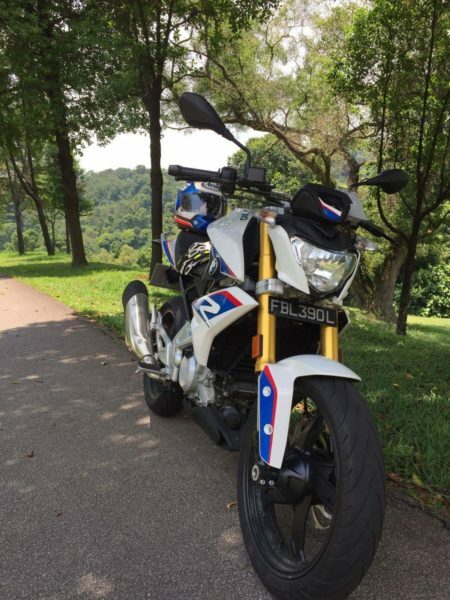 So lets talk about the bike, the G310R. 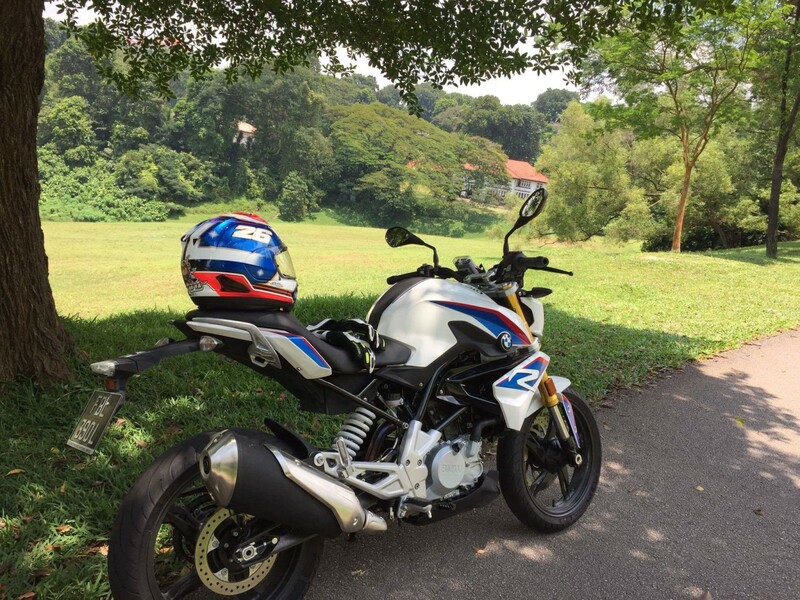 BMW has a wide range of premium motorcycles in its product portfolio, ranging from street to sport to retro to the mammoth tourers, but they were missing an entry level product which will fulfill all the requirements of new bikers in western countries while also fitting into the budget of Asian market. 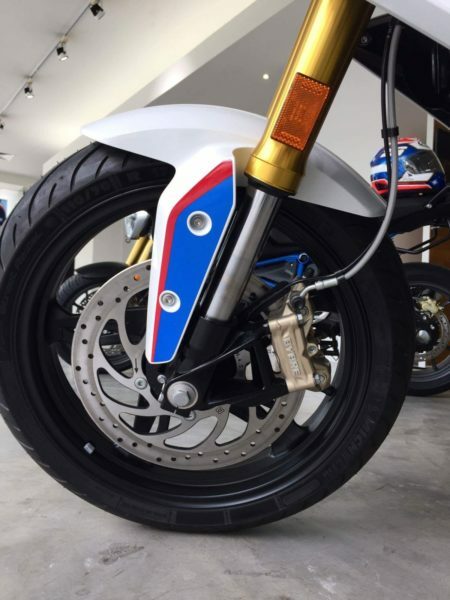 The G310R is powered by a water cooled single cylinder 313cc DOHC engine developed ground up. It’s tuned 33bhp at 9500rpm and 28Nm of torque at 7500rpm. 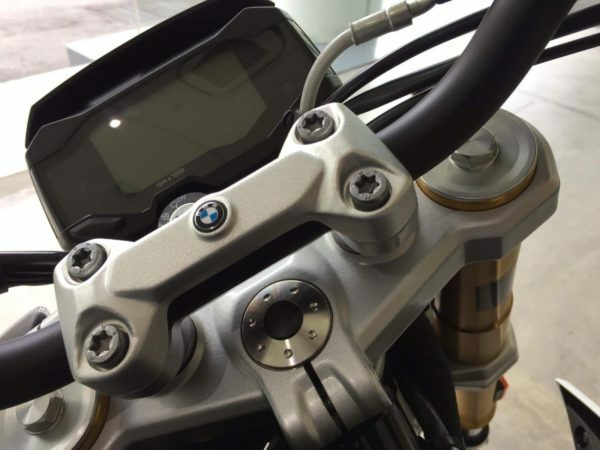 At the front is a inverted, 41mm gold coloured fork while at the rear is a monoshock. Braking duties are taken care by a 300mm disc in the front and a 240mm disc at the rear, while ABS comes as standard. The bike uses fuel injection and has an LCD dashboard. The G310R carries its visual DNA from the roadster family and looks stunning with its signature white, blue and red color theme. Munich headquarters has taken utmost care to maintain its signature build quality and finish even though it is manufactured outside the regular BMW factory. 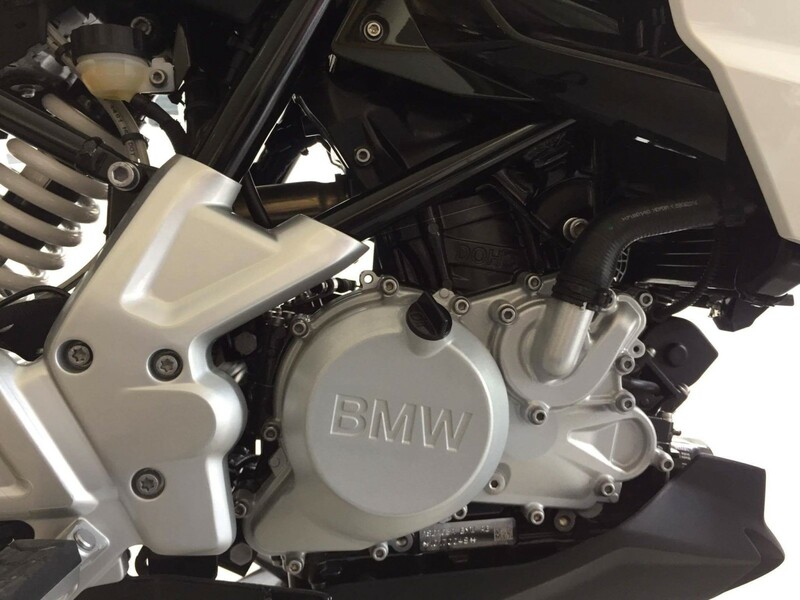 The level of detailing carries BMW’s signature DNA, the paint finish, the typical BMW fasteners which are seen on the premium bikes are carried down to this smaller machine as well. The color theme of the plastics and metal parts relate the bike to its elder siblings. Quality of the switch gears and their color combinations will certainly tell its a BMW product and it is made without any cost cuts. The bike sounds pretty good. It’s got a nice bass on the go although it doesn’t sound as aggressive while standing still. The bike easily pulls upto 49kmph in the first gear and goes all the way uptp 80kmph in the second gear. The gearing is smooth and shifts clean. Compared to the KTM 390 Duke, the power delivery of the G310R is perfectly placed in all the gears and does not require frequent gear shifts. The G 310 R was able to pull off in the 4th gear from 30kmph on a steep slope without much clutch adjustment. The bike should deliver a fuel economy of around 30-35kms per liter. It has ample torque to play with and it is packed in such a way you can whack it to pump your adrenaline. The bike has a pretty decent seating posture which isn’t too sporty, neither is it too upright. The suspension is slightly on the softer side as compared to the KTM as this is more of a low capacity performance commuter. That being said, it isn’t too soft, and it can definitely outrun its competition in the segment. The brakes are good and in sync with the suspension and make a perfect setup. The seat is pretty comfortable too and the bike handles very well with a sporty nature. For those who miss the comfort factor in the KTM Duke 390, the G310R is definitely for you. It ticks all the boxes in the performance, handling and build departments and with the BMW badge, it would definitely cause some envy to the neighbors. For Indian roads, the G310R will be a performance commuter and it can well handle the occasional touring needs in highways. TVS has done a great job on building a bike which speaks BMW’s language without any doubt. They have proven their manufacturing capabilities in delivering such a world class product for BMW and we Indians must be proud of it. Just found that the engine noise was a little high during idling but it doesn’t sound odd during the run, could be nature of the bike. Note: The views expressed in the user review are those of Immanuel. Motoroids would bring their detailed take on the motorcycle only after riding it.